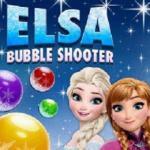 Princess Elsa Afternoon is an adorable game at Abcya3.net. The princess is exhausted; therefore, she yearns for a comfortable day. The girl has to recharge the energy. You make a wonderful afternoon and give it to her. 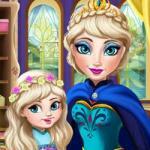 Princess Elsa Afternoon game is an occasion to chill out and refresh the whole daily day on abc ya. 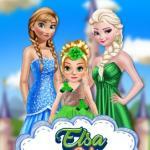 Princess Elsa Afternoon free game is a girl game. 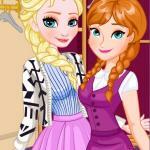 You go to Arendelle and meet the princess Elsa. 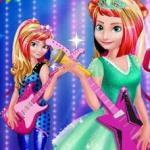 She is a very famous royal girl of Disney world. She always has busy days. She needs to relax and have a nice afternoon. To her, a goof afternoon must have a coffee, a book, and a dessert dish. Firstly, you help her to choose a book to read. There are four books in abc ya game. They are all popular pieces of writing. Specifically, they are The Little Prince, The Wizard of Oz, Alice’s Adventures in Wonderland, and One Thousand and One Nights. Take a book and put it on the table. Next, you make a cup of coffee. You see a cup of coffee on the table. You change the kinds of coffee and the cup. The game provides cream coffee with two chocolate sticks, a black traditional coffee cup, milk coffee, coffee with chocolate ice cream, and iced coffee. Decorate the cup at abc ya player game. You choose patterns for it from yellow zigzags, blue background with white small squares, green background, and yellow background with red lozenges. Prepare a dessert cake. Use a big bowl. Add an egg, chocolate, and water to it. Pour the mixture into a 4-hole tray. Bake them by using a stove. After 5 minutes, you open the stove and cupcakes are done. Decorate them. Design paper cup. You have green cups with tiny flowers, rainbow-like cups, blue cups, and white-violet striped cups. 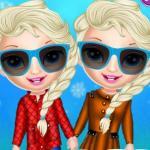 Select choose a type of baked cake on abc ya online game. You put cream on the cake. You can decorate yellow cream with a cherry, chocolate cream, rainbow-like cream, and pink cream. Sprinkle with colorful candy beans or chocolate crusts. 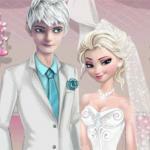 Finally, dress up for Elsa. You select a dress, new hairstyle, mane, and shoes. Now she is ready to kick back with lovely food and the good book. 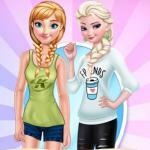 Introduce this game to besties and explore games like Elsa Easter Cupcake Cooking and Frozen Elsa Modern Fashion. Rate them at http://abcya3.net/. 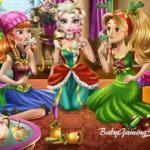 Make remarks on girl games.